The seminary community both mourn and rejoice with the family of former professor E. Edward Hackmann who was taken to be with his Lord in Holy Week and celebrated Easter with the company of heaven. Rev. 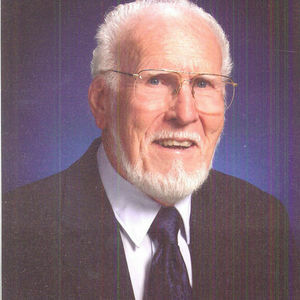 Dr E. Edward Hackmann, of Rio Rancho, New Mexico, born 14 January 1923, went to be with the Lord, Wednesday, 20 April 2011, at the age of 88. He attended grades 1 through 8 at Immanuel Lutheran School in Albuquerque. He earned his Master of Divinity from Concordia Seminary, St. Louis, MO (1947). He later earned a Master of Philosophy from Washington University (1953) and a PhD in Philosophy from the University of Nebraska (1963). Professor Hackmann devoted his life to the ministry and teaching of students in Lutheran universities and seminaries. He was an instructor and associate professor at Concordia Theological Seminary, Springfield, Illinois (1947-53); pastor of Holy Cross Lutheran Church, Anita, Iowa (1953-55); pastor of Immanual Lutheran Church, Eagle, Nebraska (1955-57); assistant and associate professor at Concordia Teachers’ College, Seward, Nebraska (1957-66); part-time instructor at the University of Nebraska, Lincoln (1960-66); professor at Capital University, Columbus, Ohio (1966-80); professor at Concordia College, Ann Arbor, Michigan (1980-83); and Professor of Systematic Theology at Concordia Lutheran Theological Seminary, St. Catharines, Ontario (1983-93). In retirement he also taught in Riga, Latvia. Dr Hackmann was greatly loved and respected by all whose lives he touched. He is survived by Pauline, his wife of 63 years; six children; 12 grandchildren; and brother, Paul Hackmann. A funeral service will be held on Tuesday, 26 April at 10:30am, at Immanuel Lutheran Church, 300 Gold St. SE, Albuquerque, NM 87107. Interment will follow at Sunset Memorial Park. The family requests donations be made in Dr Hackmann’s name to Immanuel Lutheran Church in lieu of flowers. Please visit the online guest book at RememberTheirStory.com.